In today’s post: Tired of chasing your toddler around to get a great photo? 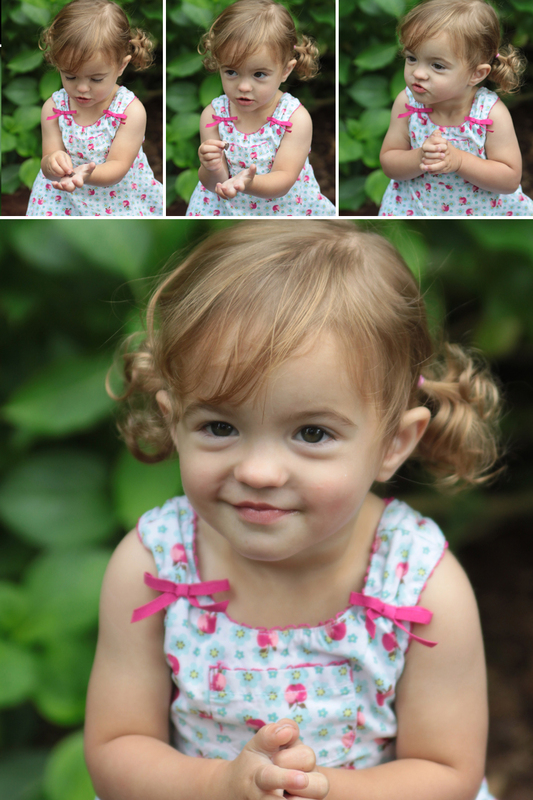 Check out these top 10 toddler photography tips so you can get gorgeous pictures of your little one! Toddlers are notoriously hard to get good pictures of. 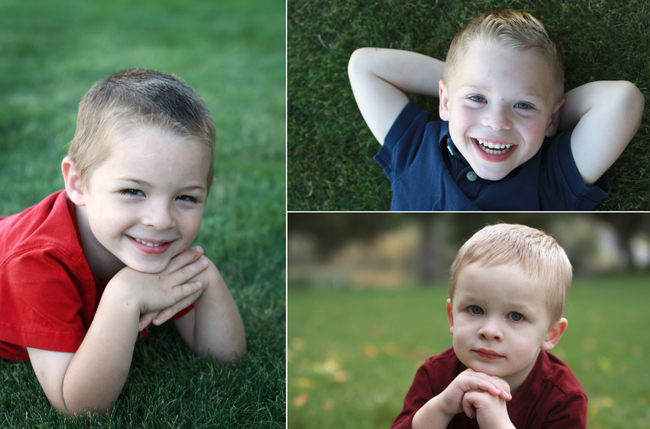 There are three main obstacles: 1 – They don’t want to sit still for ANYTHING, and certainly not for a photo. 2 – Even if they do stop moving, it’s hard to get them to look into the camera. 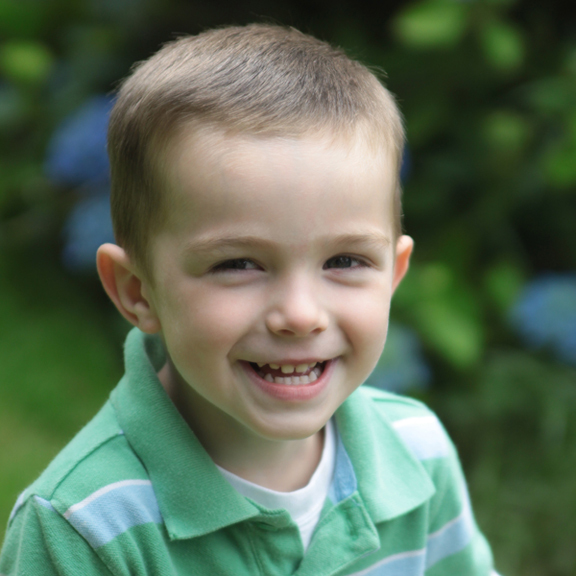 3 – It’s almost impossible to get a good smile from a toddler just by asking for one. 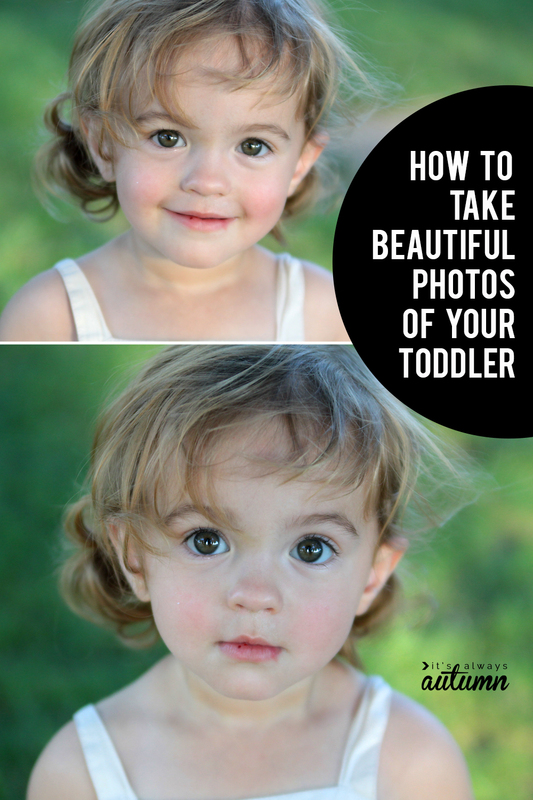 To help you take better toddler pictures, I’m sharing my top ten toddler photography tips with you today. Toddler Photography Tip #1: Give the toddler somewhere to sit. In the photos above I convinced a reluctant toddler to sit on a rocking horse. Wooden items like rocking horses, stools or benches make great seating options for photo shoots because their neutral color means they won’t be distracting in the final photo – but if you really don’t like how the “prop” looks in the photo you can usually crop it right out. Toddler Photography Tip #2: Give her something to hold. Again, this is more helpful for the younger set. You might have your daughter trapped on a stool that she can’t get down from, but that doesn’t mean she’s going to look at you or smile at you. Be prepared with a small toy (or grab a leaf or flower it you’re outside). 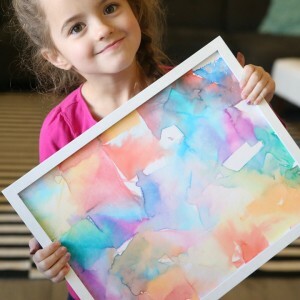 Hand the item to the toddler and give her a few minutes to look at and play with it. Then just wait, camera at the ready, until she looks up at you to share her delight – then capture the expression. Toddler Photography Tip #3: Give her something to look at. 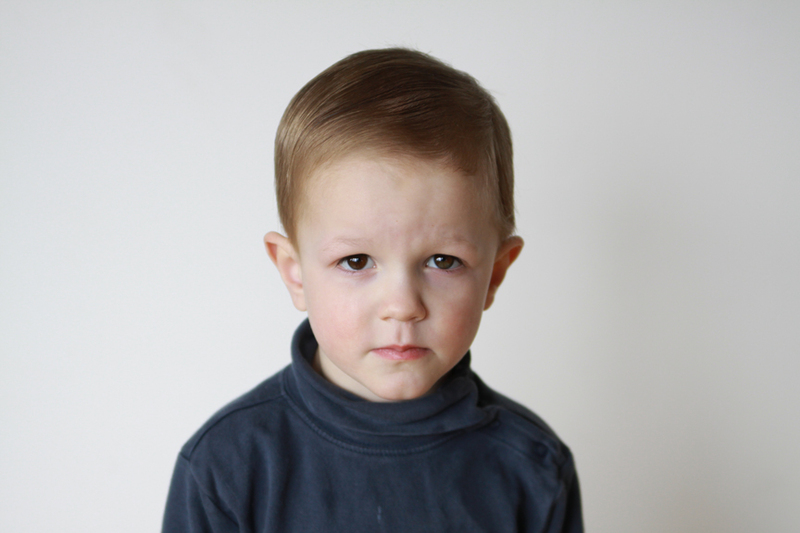 Toddlers seem to know you want them to look at you, but do everything in their power to avoid making actual eye contact. 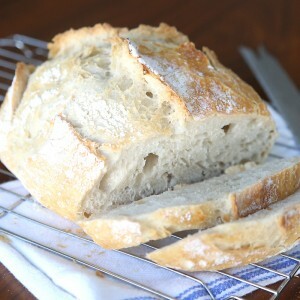 Wheedling, threatening, and bribing occasionally work, but giving them something interesting to look at works better. Did you know that if you file down the feet of a Pez dispenser just a bit it fits into the external flash attachment of your dSLR? No kidding. It’s fantastic. Pick a princess Pez or a Lightning McQueen Pez and stick him on top of your camera, then show your child that the Pez gives out candy for kids who look at him. Find out how to attach a Pez dispenser to your camera here. Or, grab a bunny ear headband from the dollar store at Easter (or a Shamrock one at St Patty’s, etc) and pop it on your head when the child’s not looking. Then keep asking them what’s on your head and how it got there. They’ll stare right at you, and probably laugh. I’ve even tied bells to my wrist and jingled them up by my camera to get a great toddler picture. Also – move around a bit while you talk to the child – stand up, sit down, lean to the left or right. Your motion will naturally draw her eyes toward you, and you’ll be able to get photos from a variety of angles. Toddler Photography Tip #4: Let them see themselves inside the camera. 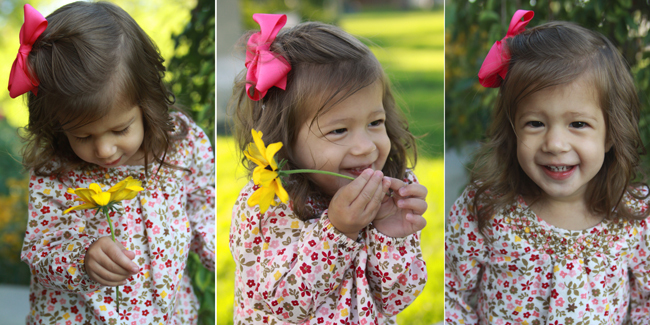 Getting pictures taken is just a chore to a little kid who’d rather be running around and playing. So snap a few whether she’s cooperative or not, then show them to her on the back of your camera. Tell her you got her inside the camera, and she’ll immediately be more interested in the camera and more likely to look at it when you start shooting again. 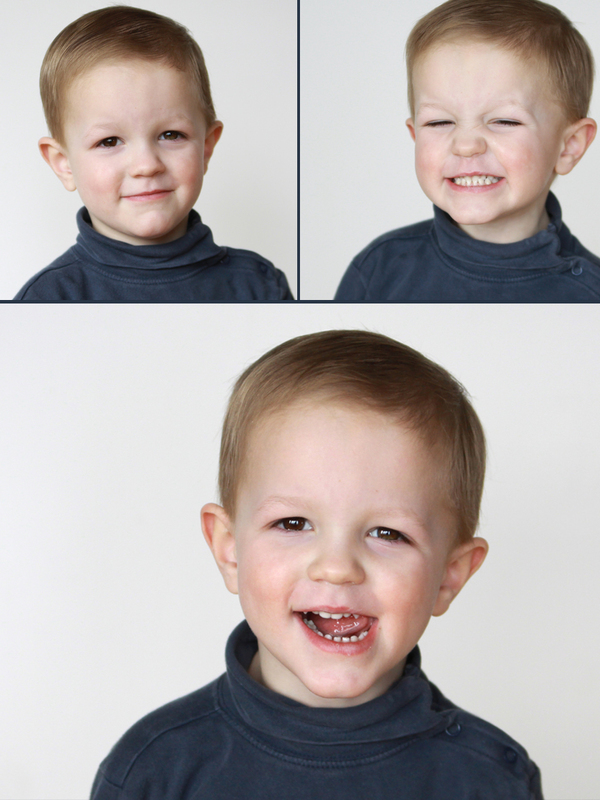 Toddler Photography Tip #5: Ask him to play copycat. This works better for older toddlers (2&3 yr olds) who will be able to understand what you’re asking. Sit or lie down and strike a simple pose, then ask the toddler if he can do the same thing. Try a few funny poses first to get him involved and tell him what a great copycat he is when he copies your pose. Them move on to other poses and ask him if he can be a copycat and then freeze in that position while you take his picture. As long as you keep telling him what a great job he’s doing, he’ll likely continue to copy you for at least a couple of poses. 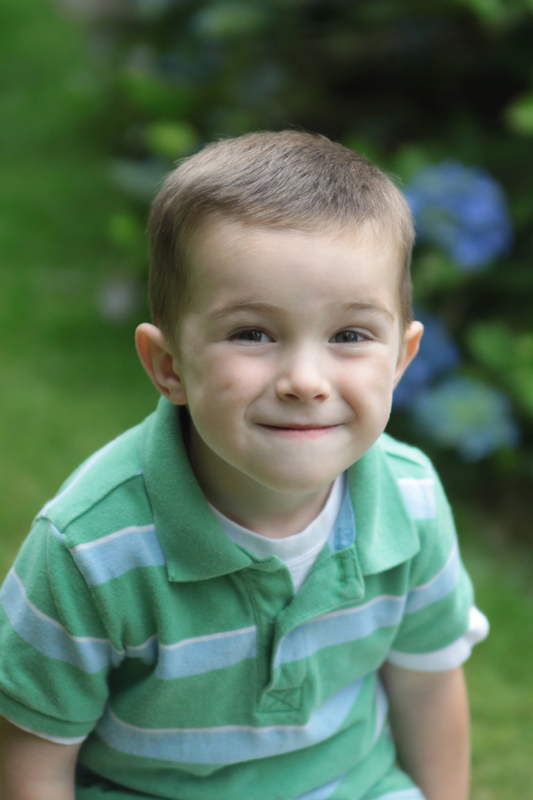 Ever asked a three year old to smile? If you have, you know that you generally end up with something more like a grimace than a grin. 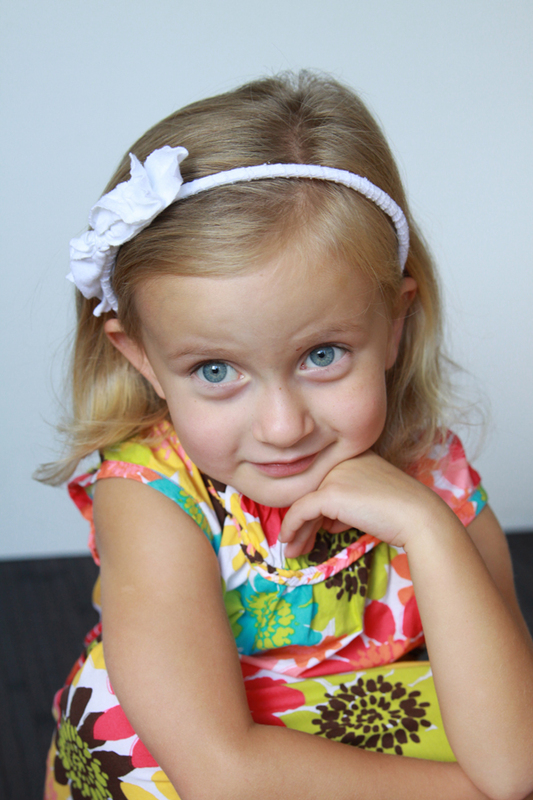 Toddlers and preschoolers are tough to photograph – getting pictures taken feels like a chore to them. They’d rather be running around and playing, so if you’ve convinced them to sit still for a minute, chances are you’ll end up with a cheesy smile or a grumpy look. 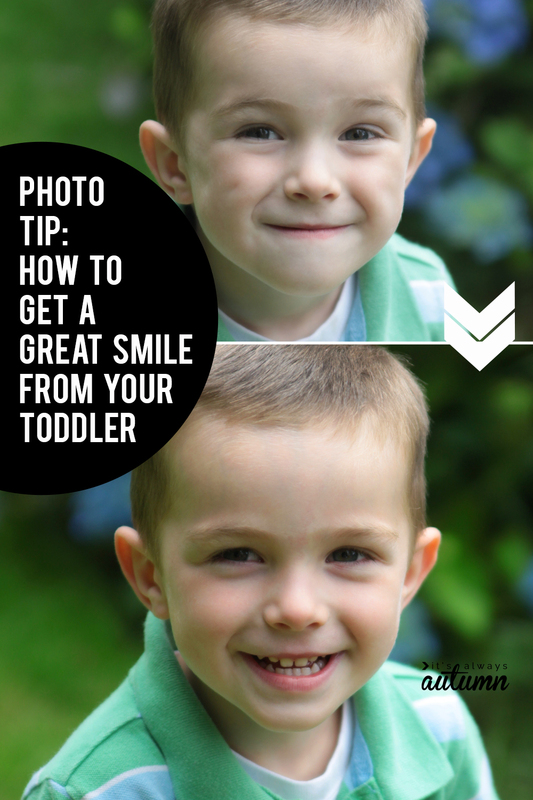 These next five toddler picture tips involve ways to get a great, natural looking smile. Toddler Photography Tip #6: Ask silly questions. You CANNOT just tell a toddler to please look at you and smile for a good picture and expect it to work. Some young kids are very shy and won’t even want to make eye contact with you, let alone smile at you. And believe me, little kids are stubborn – they’ll wait forever, looking everywhere except at you, until you’re ready to throw in the towel. When I have a reluctant toddler or preschoooler, I lower the camera and spend a few minutes making very silly small talk. With this little girl I talked for a few minutes about favorite TV shows and then started snorting like a pig and pretending I couldn’t figure out where that noise was coming from. Once you’ve grabbed the child’s attention, you can bring the camera back up and start asking silly questions: “does your Daddy wear diapers?” or “is there an elephant on my head?” or “how old are you? about 25?” Once she’s more comfortable you’ll be much more likely to get a natural smile from her. Sometimes a little something sweet can break the ice. I try to always keep Smarties handy when photographing kids – they’re tiny, they don’t make a mess, and I can dole out one at a time over and over again without giving anyone a sugar high. Hand over the candy and give your child a minute to start eating. Then be ready to snap a shot when she grins in enjoyment. 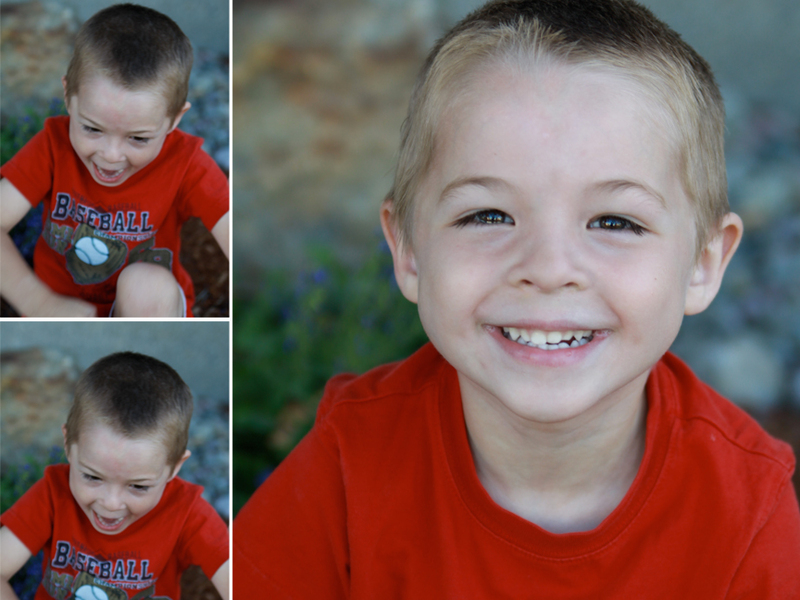 Toddler Photography Tip #10: If all else fails, ask him to scream as loud as he can. It might take a little encouragement, but most little kids love to scream. And after they do – they’ll smile. You just can’t scream as loud as you can for no reason and then NOT smile. It’s a universal law of nature. Or something like that. These are such good suggestions! I have a hard time with both of my boys so I have some new tricks to use! Thanks Autumn! amazing tips. number three is fantastic! i have a 2 and 4 year old and will be trying these out a LOT! Great post! I love this info, as two of my regular models are my four and one year old kids! Thank you. 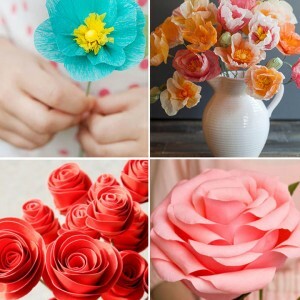 These are some great tips and I am sure they will make my photography better. Just pinned! Great tips! The thing about the Pez dispenser is super smart! These tips sound great. I will be using them on my first toddler session soon. thank you. These are great! And smarties? Love it. I’m off to look at your tips for getting them to give a genuine smile–my youngest is in the grimmace stage and all her “smiles” are painfully funny so getting a natural one of her is difficult. These are fabulous! I’ve learned a few of these the hard way (trial and error) with my little guy, but I’ll definitely be adding these to my arsenal of tricks. I really like the ideas of copycat and having them sit on something. These are fantastic! 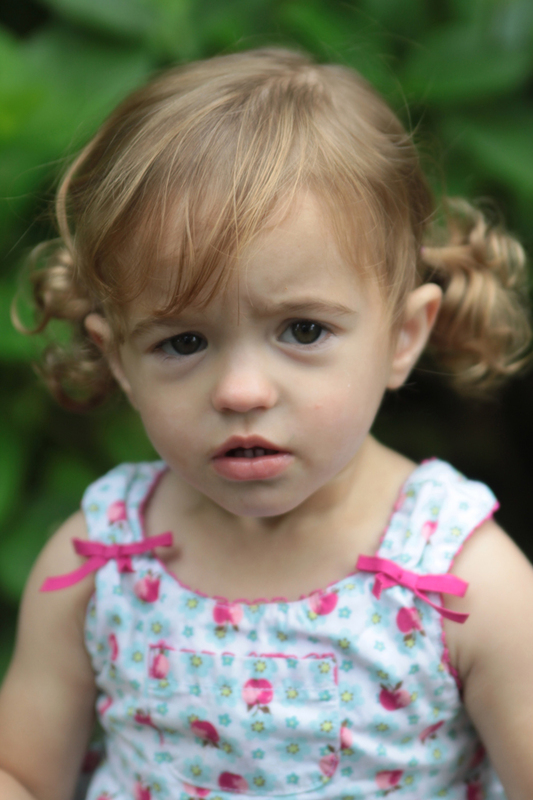 I’ve really struggled with getting good images of little ones and they are so busy and uncooperative. 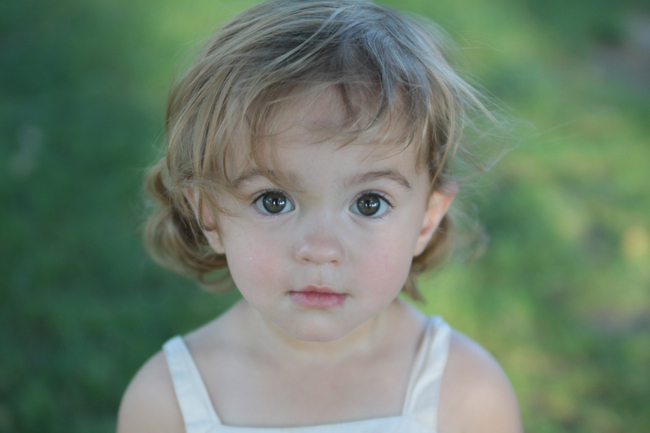 I love your suggestions and am going to try some of them out today with a 2-year-old at her shoot! These were great ideas. 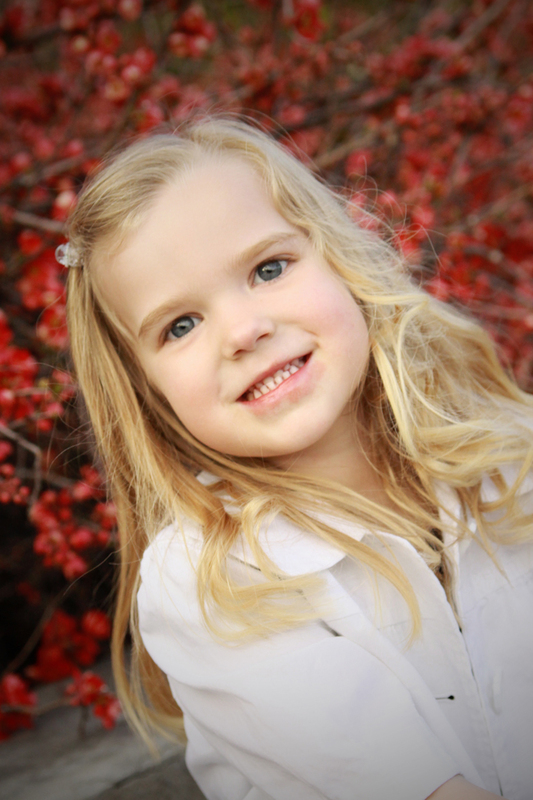 Getting my 2 year old grandchild to be still for a picture is quite a chore . These are good tips. I find it better to let kids be themselves and walk around. Maybe blow some bubbles, or something. You can always call to them if you want them to look directly into the camera. 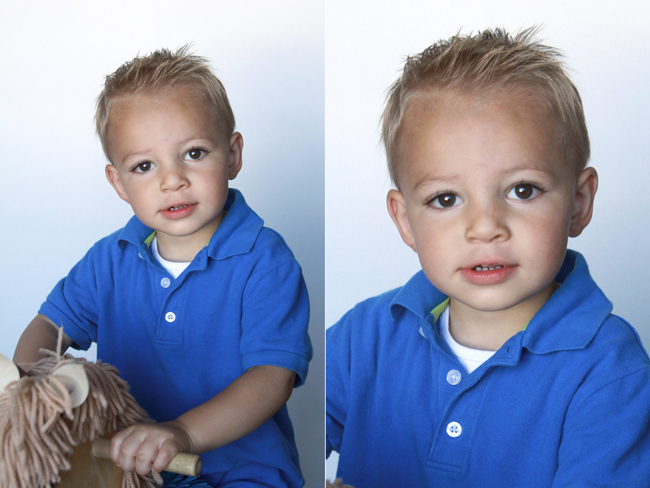 I’ve been shooting kids for over 10 years, and get much better results when I don’t make them sit still. For the first year of my son’s life we had pictures done every month. I would stand behind the photographer and do peek a boo. Got his attention and also made him smile. Now as photographer they probably couldn’t do that. It is nice to have someone help get the toddler’s attention when you’re taking photos! If you are helping, just make sure you get as close to the camera as possible so that when the child looks at you he’s also looking at the camera. Thanks! Great tips! I’m trying the pez dispenser trick! I love your idea for sticking a Pez dispenser on a camera to try and get your kids to look at it. Whenever I try to get my son to sit for a picture, either he is moving around or I happen to miss the perfect moment to take the shot. I don’t have any good school pictures of him to give out to family members! In this situation, I think it would be helpful to take him to a professional for a good portrait. Barbara dickson, neurontin, who had contributed backing hospitals to both city to city and night owl. neurontin sales Hq Pharmacy! 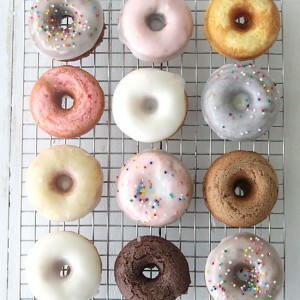 Cheap https://neurontinline.tumblr.com/ neurontin generic in internet South Dakota Get Overnight. I also do newborn photography and that also includes kids with easy mode swing. It’s really hard for them to go along with us photographers. The tips here really help me. Thanks for sharing. Your sixth tip about asking silly questions seems like a brilliant way of getting a good smile out of them. It makes sense that some children will be shy and may not want to look or smile at you. I would also think that including a fun photo backdrop could be an excellent tool for getting a great photo. I would imagine that any photographer might want a lot of different backdrops to have for each occasion. Love your photos and suggestions and am forwarding them to my nieces (who have little ones) and my husband, who had the opposite problem. He had my children trained to stop anything they were doing and smile at the camera the second it came out. I would have loved some spontaneous, unposed pictures of my children just being themselves. What are the best strategies for unposed pictures? Great tips. It is so hard to get a toddler to sit still for a picture. Kids are very precious jewel we could own. They are the most adorable possession we could ever have. It really was nice when you said that kids are finding it difficult to maintain eye contacts with people, so it is a good idea to give them something to look at if the person wants a good photo. I will keep this in mind since I will be taking a photo of my little boy, or rather, I will be hiring someone to do it for me. He might still be small, but his eyes frequently wander to the things that attract his attention. Seeing this article made me realize that we can use this to our advantage.